This post is sponsored by our partnership with Festival Foods. Ice Cream. It screams summer and is the perfect way to cool down on a hot summer’s day. And let’s face it–summer heat can be brutal at times. Cooling off with some local dairy products can be a really nice way to beat the heat of the summer sun. 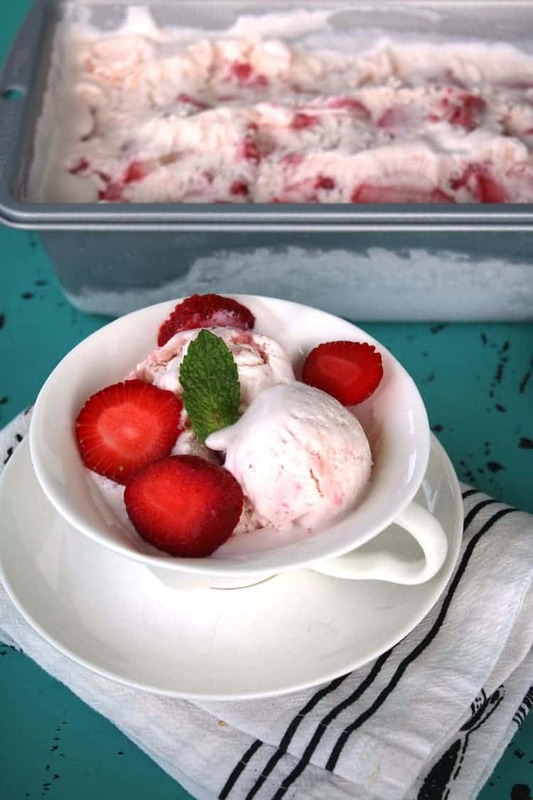 That’s one of the reasons why we can’t get enough of this No Churn Strawberry Ice Cream recipe. It’s simple to make, requires no special equipment other than a mixer and can be dressed up to add mix-in flavors if that’s more your speed. 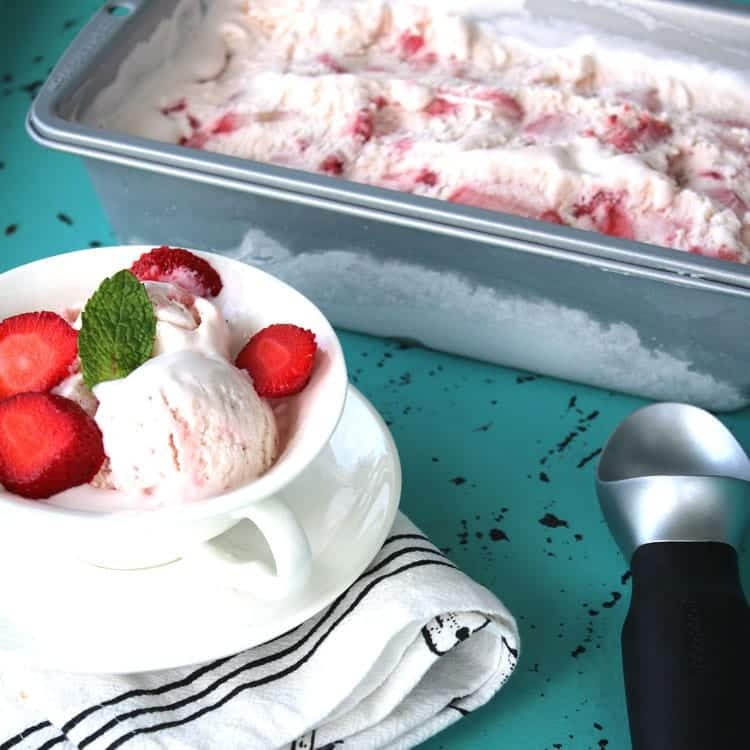 With just a few ingredients…and we literally mean just 3, you have exactly what you need to make a tasty no churn ice cream treat. 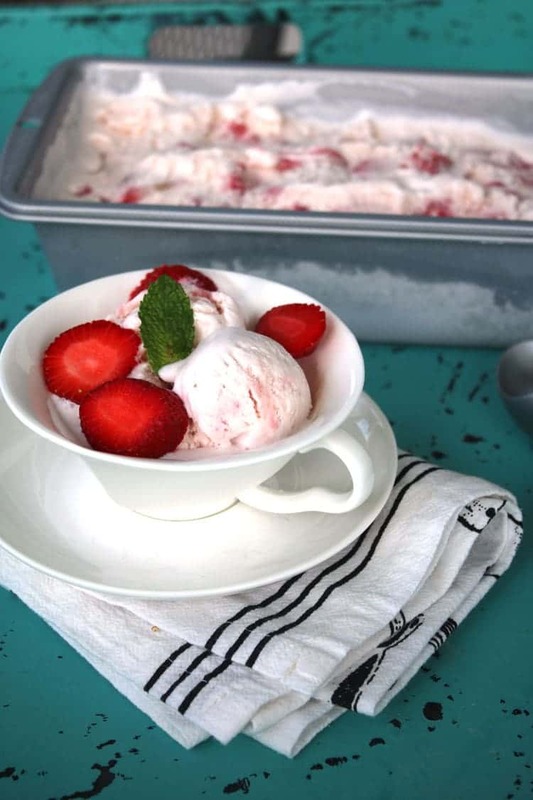 Heavy whipping cream, sweetened condensed milk, and strawberries are the required ingredients. Add in a splash of vanilla or another flavor of extract to add a hint of flavor. If you haven’t been able to tell, we love ice cream. We’ve got a fab Cherry Garcia Ice Cream recipe, Salted Carmel ice cream, Peanut Butter Ice Cream pie cream and Mom’s 1000 Calorie Chocolate Peanut Butter Milk Shake. Like I said, we love ice cream. One of the things that makes this recipe so fun is that it is really easy to change it up. If you decide you’d like to make a Cherry Cheesecake Ice Cream, simply swap out the strawberries for cherries and add in some cream cheese. Voila! 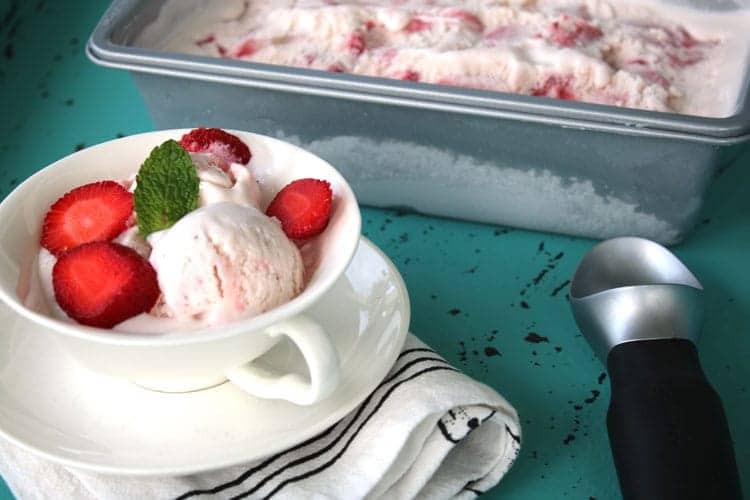 Have fun with this easy homemade ice cream recipe and you’ll be having some frozen fun treats in no time. 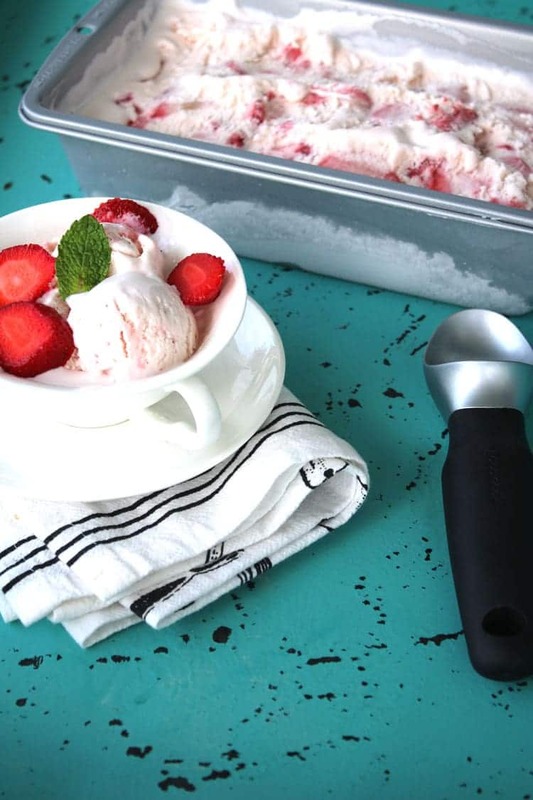 If you’d like to add mix ins to your no-churn ice, it’s really easy to do. Simply let the ice cream partially freeze so that it is somewhat thickened, top with mix in of your choice like cookies, chocolate chips or nuts, and then stir to incorporate. Put the ice cream back into the freezer for a couple hours to let if finish hardening up before serving. 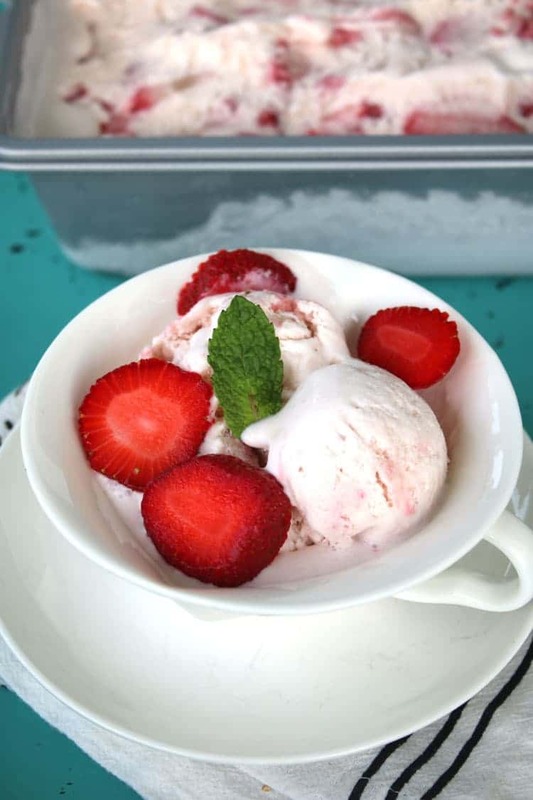 Just like any other ice cream, our No Churn Strawberry Ice Cream is delicious served up in a cup or cone. We like to top it with a few extra slices of fresh strawberries and a sprig of mint as garnish. We’re talking about ice cream that presents beautifully and tastes even better than it looks. As in…can I get another scoop, please? You know you’ve made a good dessert when your son walks into the kitchen and his eyes pop out. Not to mention when he wants to watch you take photos of the dish of ice cream because he knows when the pictures have been taken that he’s going to get to eat that sweet treat. Yes…the joy that comes along from being in the test kitchen at just the right time! And it is always a good thing to have a few taste testers on hand. 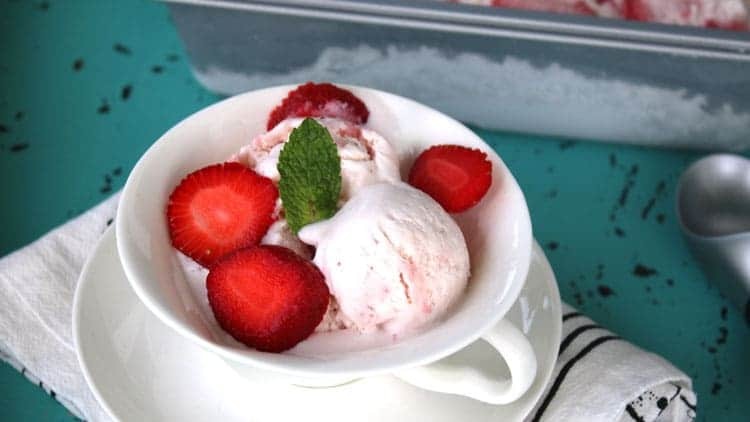 Mash up strawberries to desired consistency. You can also use a food processor to process them to a smaller size. Add in the sweetened condensed milk and vanilla and mix to combine. Whip heaving whipping cream on medium speed until peaks begin forming. Combine with the strawberry mixture and mix all together. Pour into a cold bread pan and freeze for 5 hours. If adding any add-in ingredients, do so about halfway through the freezing time. Serve and enjoy! Makes about 16 1/2 cup servings.